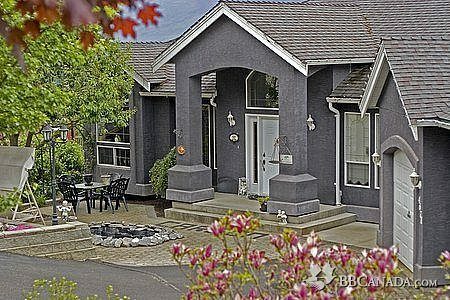 Tourism British Columbia 'Approved Accomodation' quality assurance. Rated #1 by Trip Advisor. See 'Bedrooms' tab for rates. Breakfast not required? 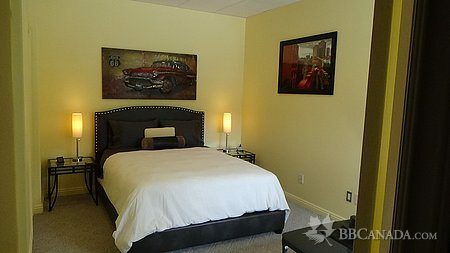 - $20.00/night/room discount. View is important. 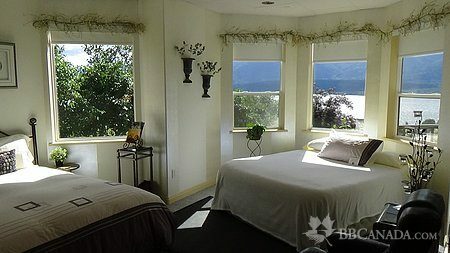 We offer the very best lake & city views in Salmon Arm! 'Tuscany' decorated Executive home with unparalleled views of famous Shuswap Lake. Courtyard with pond and fountain and private view deck. Decadent in-house meals and catering available. Beautifully appointed luxury suites decorated to ensure a 'First Class' stay. Environmentally friendly, non-toxic cleaning products used. Pamper yourself with optional Aesthetic and Massage services on site. Gift certificates available. Year round destination. Minutes to 9 hole Executive and 18 hole Championship Golf Courses. World class snow-mobiling and cross country skiing. Walking distance to Nature Habitat Interpretive Walk and Designated Hiking Trails. 5 Minutes to Downtown, Swimming and Beach with picnic tables. Lower rates with non-breakfast option. High season is June 01-Sept 30. Catering for special events. Check In/Check Out : Check in 4:00 p.m. - 9:00 p.m. unless arranged prior to arrival. Check out 10:00 a.m. $50.00 for late departures and $100.00 for late arrivals past 10 p.m. Cancellation : 50% deposit required at time of booking. If cancelled 29-15 days prior, deposit will be forfieted. Prior to 14 days full amount will be charged. 5% Administration fee will be charged. Seasonal Information : Open Year Round - WEEKLY AND MONTHLY RATES AVAILABLE - Reservations Recommended. Special events and Holidays +$20.00 - $40.00/per room/night extra depending on the weekend..